When he returns, he finds France on the brink of disintegration. After the Revolution of 1789 the royal family is moved from Versailles to the Tuileries. Fersen devises an escape for the family and their young children--Marie-Thérèse and the Dauphin Louis-Charles--whom many suspect to be Fersen’s son. The failed evasion attempt eventually leads to a grueling imprisonment, and the family spends its excruciating final days in captivity before the King and Queen face the guillotine. Grieving his lost love after he returns to his native Stockholm, Fersen begins to sense the effects of the French Revolution in his own homeland. Royalists are now targets of the people’s ire, and the carefree, sensuous world of his youth is fast vanishing. Fersen, who has been named Grand Marshal of Sweden, is incapable of realizing that centuries of tradition have disappeared, and he pays dearly for his naïveté, losing his life at the hands of a savage mob that views him as a pivotal member of the aristocracy. Scion of Sweden’s most esteemed nobility, Fersen came to be seen as an enemy of the homeland he loved. His fate is symbolic of the violent speed with which the events of the 18th century transformed European culture. 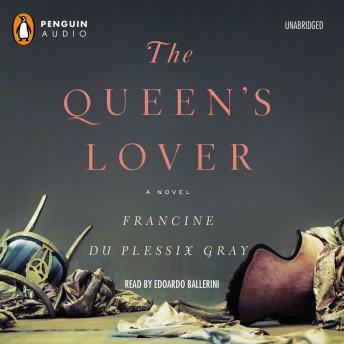 Expertly researched and deeply imagined, The Queen’s Lover offers a fresh vision of of the French Revolution and of the French royal family, as told through the love story that was at its center.